Society is changing at unprecedented speeds, and these changes are having dramatic effects on the American political landscape. 2016 and Beyond explores public opinion on hot-button issues like immigration, health care, gay rights, abortion, national security, taxes and spending, and the role of government. 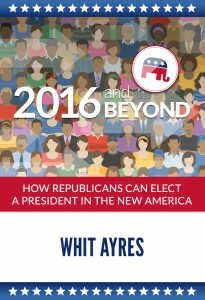 With unsparing honesty, 2016 and Beyond explains how GOP candidates must adapt to these changes to win the presidency without compromising Republican principles. Leading GOP pollster Whit Ayres draws upon 30 years of campaign experience and data-driven research from his own firm and that of other highly-respected polling organizations to deliver this insightful commentary. The result is a fascinating and highly readable exploration of how new candidates, new messages, and a new tone are needed for Republicans to win the presidency in the New America. 2016 and Beyond belongs in the arsenal of any political junkie, candidate, or student of the game. 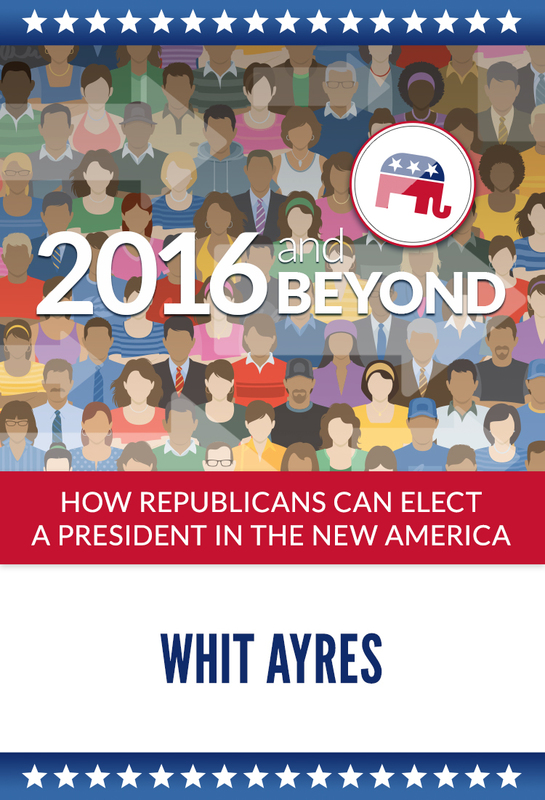 Whit Ayres is a leading Washington, D.C. political consultant with over 30 years experience in polling and survey research. His clients include candidates for president, governor, U.S. Senate, Congress, and many other offices. Ayres is the founder and president of North Star Opinion Research in Alexandria, Virginia, and co-founder (with former RNC Chairman Ed Gillespie) of Resurgent Republic, a center-right non-profit which develops and disseminates public opinion research to help policy makers, think tanks, interest groups, and others advocate for policies that are consistent with conservative principles.